715 records – page 1 of 15. Series consists of the records created during the preparation of the Pioneer Tales manuscript. Records include: correspondence, memoranda, invitations, programmes, newspaper clippings, receipts, mailing lists, press releases, and photographs. 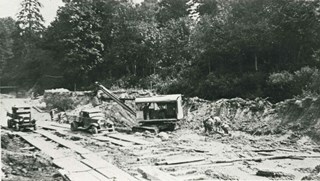 On May 28, 1980 the Mayor and Council of Burnaby held a tea to honour Burnaby “pioneers.” The event was held as part of “Burnaby Funfest Days ‘80” and was meant to recognize members of the community who had resided in Burnaby prior to 1930 and acknowledge their contributions as pioneers of the City. Although approximately 100 people were expected, more than 500 actually attended. 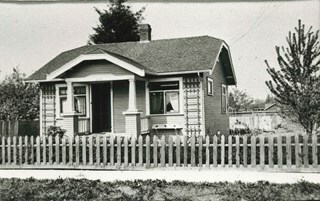 Each participant was asked to fill out a brief personal information form outlining their experiences in Burnaby’s earliest days – the response to which was so favorable that the idea of compiling a book to capture these memories was born. A writer was hired to help edit and organize the book, and writing contests were initiated to encourage senior residents to share their experiences. 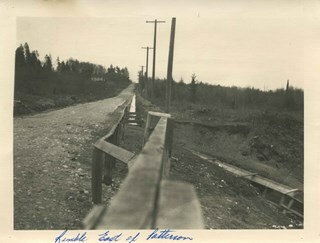 Other community members became involved in the project when the City enlisted the help of secondary school students to type manuscripts for those unable to do so and journalism students from the British Columbia Institute of Technology volunteered to conduct interviews with additional “pioneers.” It took several years for the project to come to fruition, but the book was eventually published in 1987. 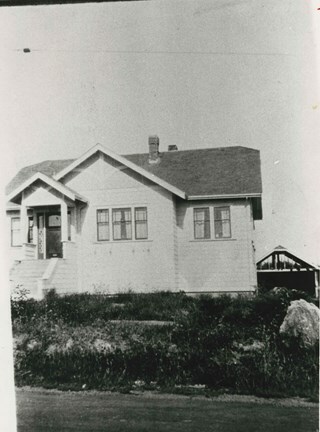 Photograph of Thomas Shankie, a Winnipeg music teacher and father of Janet Shankie Bower. 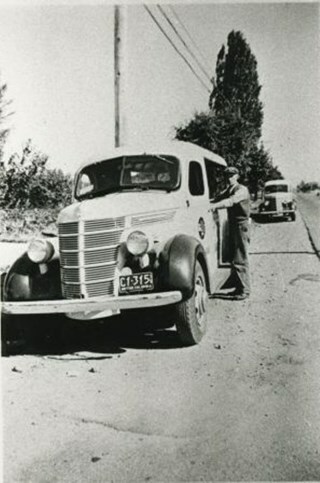 Photograph of Bill Setter delivering milk for the Associated Dairy of Vancouver. 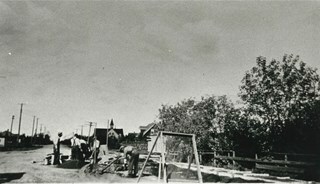 Photograph of George Pearson's sidewalk crew mixing cement. 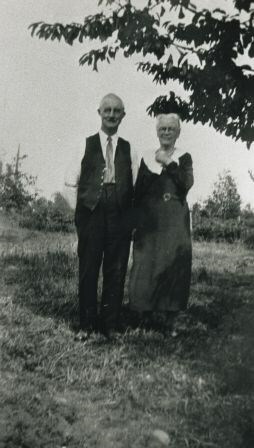 Photograph of Mrs. Pearson with brother, Richard Oliver, of Victoria. 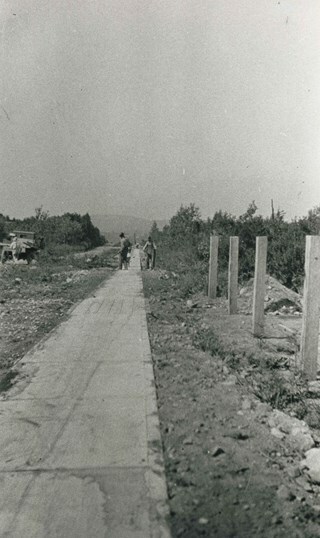 Photograph of a sidewalk laid by George Pearson and his crew in Burnaby. 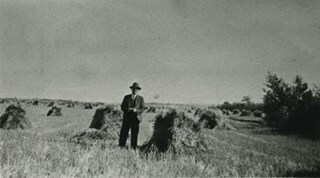 Photograph of George Pearson bidding farewell to fields and life on the Prairies. 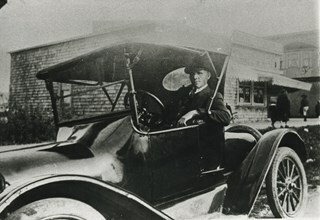 Photograph of James Cowan in a car in Vancouver. 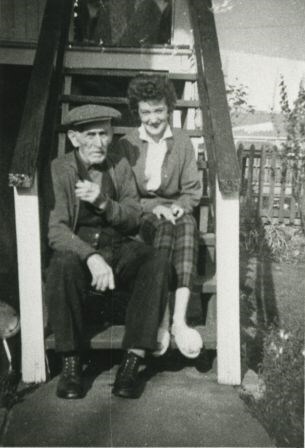 Photograph of John Cassidy at ninety-two years old with his daughter, Maureen Reilly. 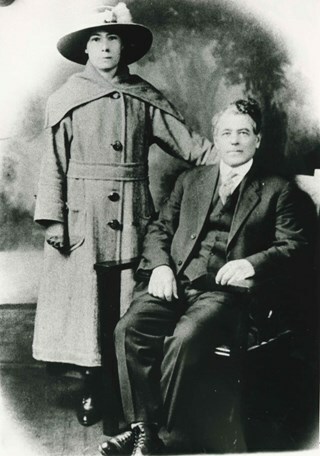 Photograph of Katherine Cassidy with her eldest son, Willie Cassidy. 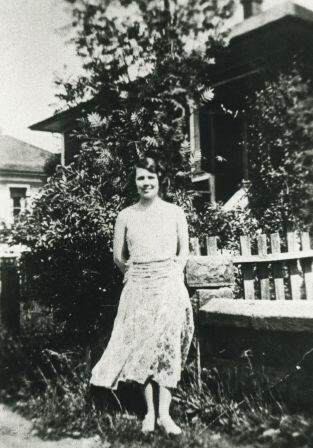 Photograph of Mrs. Ethel Farrington, one of the earliest BC Telephone switchboard operators on the Fairmont exchange in Vancouver. 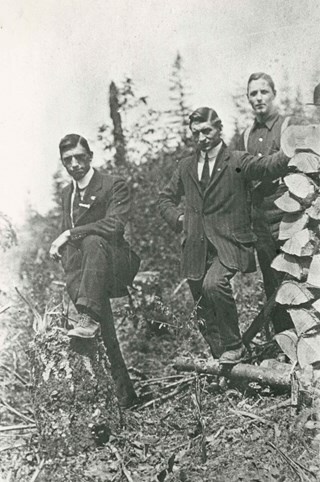 Photograph of Harry Sellers, Herbert Sellers and an unidentified friend with a stack of cord wood they had chopped. 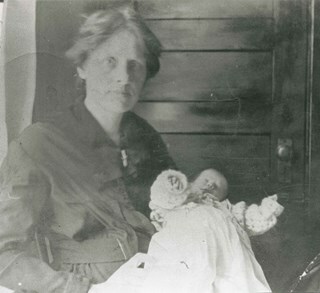 Photograph of Georgina Knowlton (nee Sutherland) and her daughter, Sally. 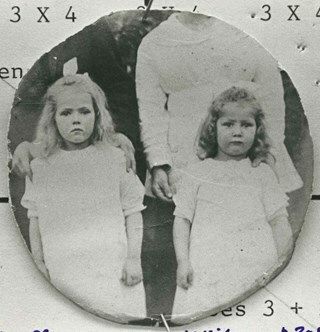 Photograph of the Beniston sisters. 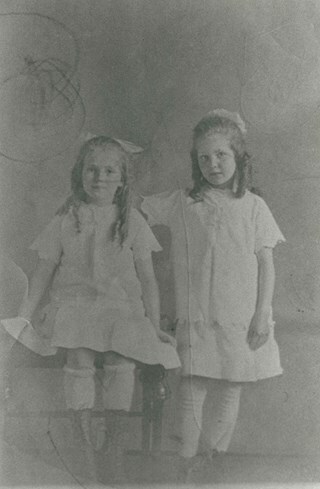 Left to right: Gladys Beniston (later Gladys Moore) and Edna Beniston. 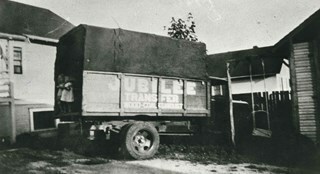 Photograph of a Jubilee Fuel and Transfer truck. 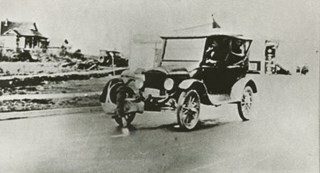 This is a Ford Model B truck. 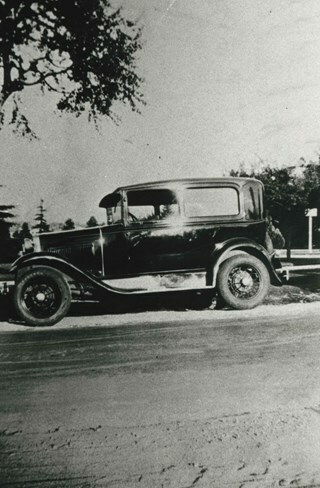 Photograph of Rae Weir's family car, the first one they owned, a 1930 Model A Ford. 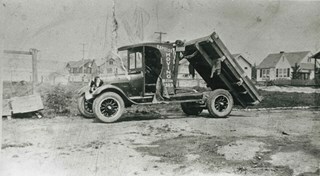 Photograph of a 1932 Ford V8, owned by Rae Weir, Jubilee Fuel and Transport. 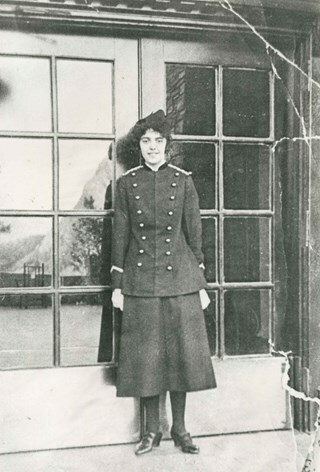 Photograph of Miss Una Patience, a popular teacher at Nelson Avenue School. 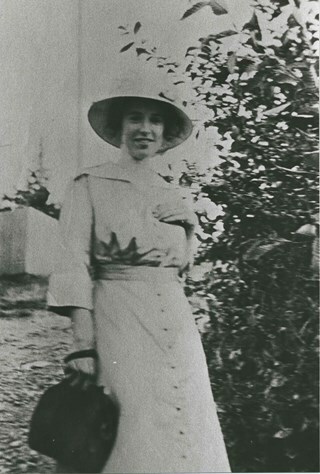 Photograph of Sylvia Murley (later Sylvia Auvache). 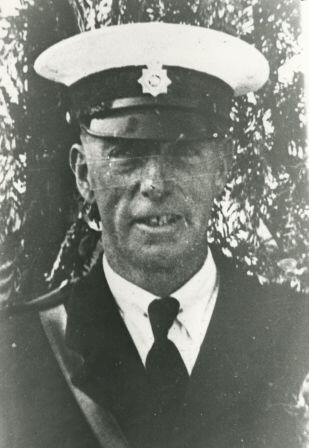 Photograph of Burnaby Police Constable, George Jeffery. 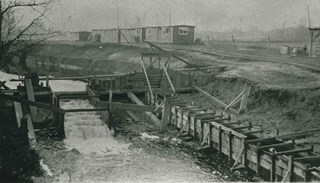 Photograph of the construction of new Brunette River dam. 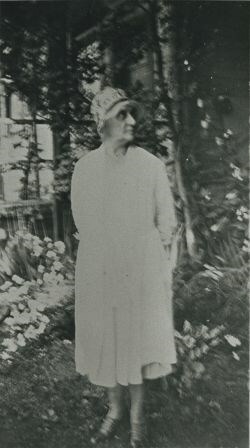 Photograph of Florence Lizzie Yorston (nee Marston). She was married to Ernest A. Yorston. 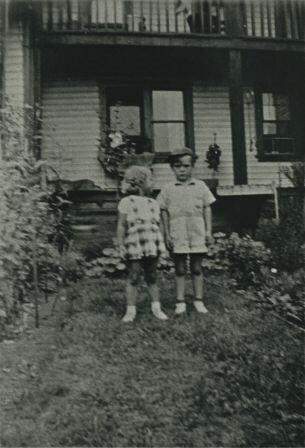 Photograph of (left) Barbara Sue Yorston, age 4, and (right) Kenneth Borleske, age 5. 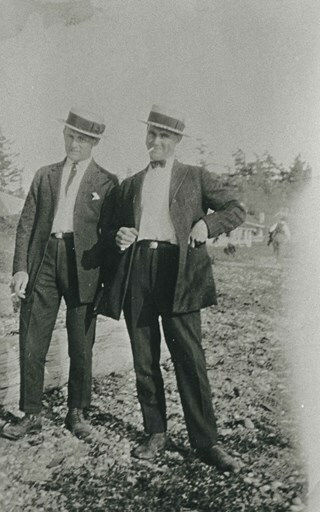 Photograph of (left) Donald Gough and (right) John Gamble. 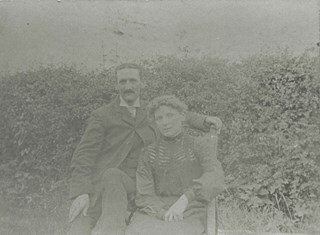 Photograph of husband and wife, William and Agnes Gough. Photograph of Dr. Boyd McKee, McGill University medical school graduate, dressed in robes. 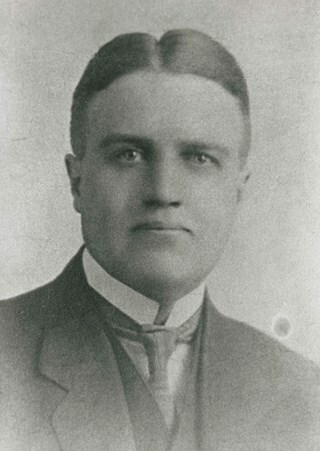 Photograph of John Edward Hawkshaw, at age twenty. 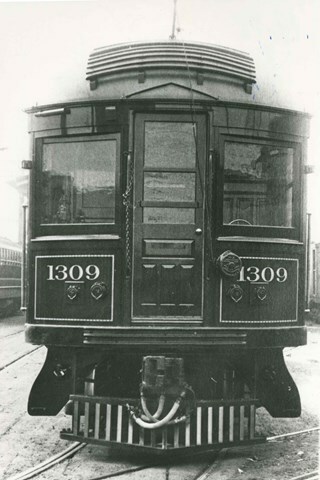 He was a bank manager at a branch of the Northern Crown bank. 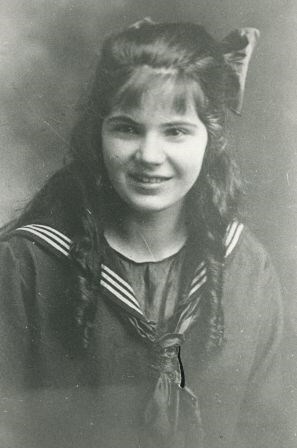 Photograph of Violet Butcher at approximately fourteen years old. 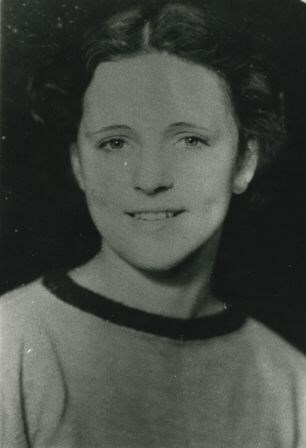 Photograph of Phyllis Fetherstonhaugh, teacher at Edmonds School. She later became Mrs. G. Disney. She passed away in 1982 at age 93. 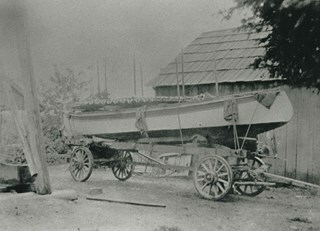 Photograph of a sailboat owned by one of the Love boys. 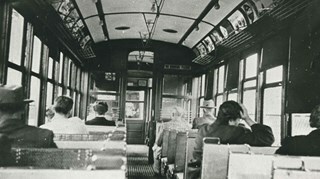 Esther Love enjoyed the outdoors, especially outings in this boat with family and friends. 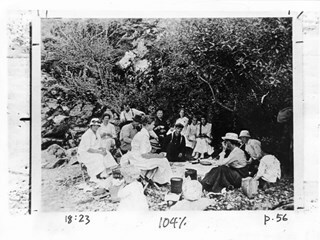 Photograph of the Love family on a picnic outing with friends. Identified: (far left) Esther Love. 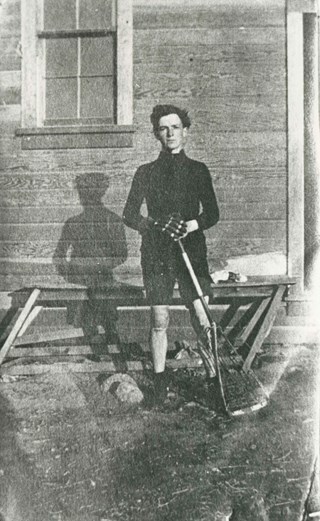 Photograph of Burnie Feedham as a teenage lacrosse player. 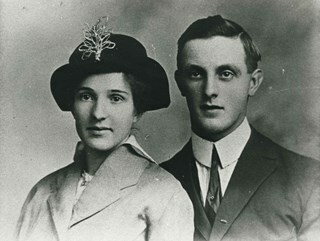 Photograph of William and Jessie Allanson. 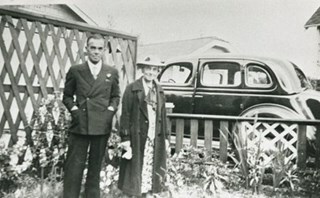 Photograph of Mabel and Malcolm Allanson. 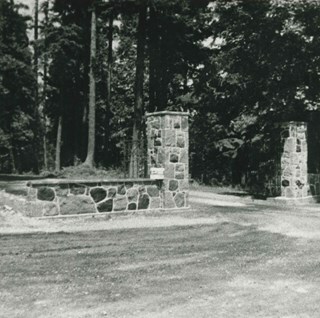 Photograph of masonry by John Pickard at the gateway to Queens Park, New Westminster. 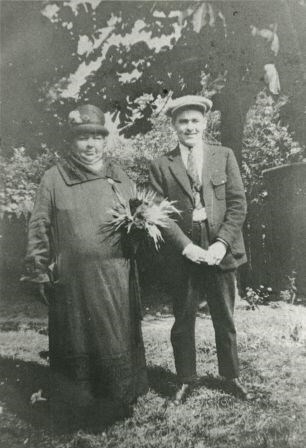 Photograph of the Hendersons, Bertha Hutchings Henderson (bride) and Richard Henderson (groom) on their wedding day, Christmas, 1917. 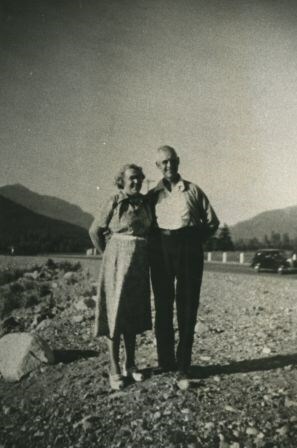 Photograph of Edith May Mitchell Bond and her husband Frank Bond. 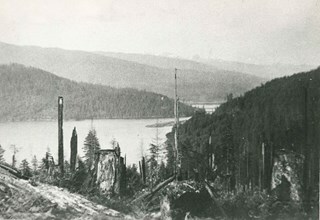 Photograph of Burrard Inlet taken from Capitol Hill. 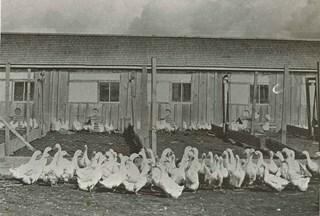 Photograph of an unidentified poultry farm, South Burnaby. 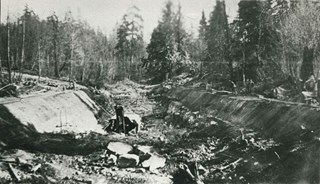 Photograph of Frank Warburton painting white lines along Kingsway. 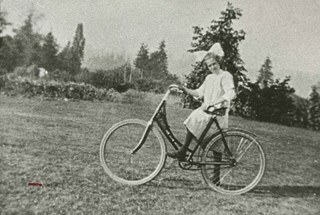 Photograph of Florence Hart and her bicycle.